It was earlier believed that HS Phoolka had not submitted the resignation in a proper format. 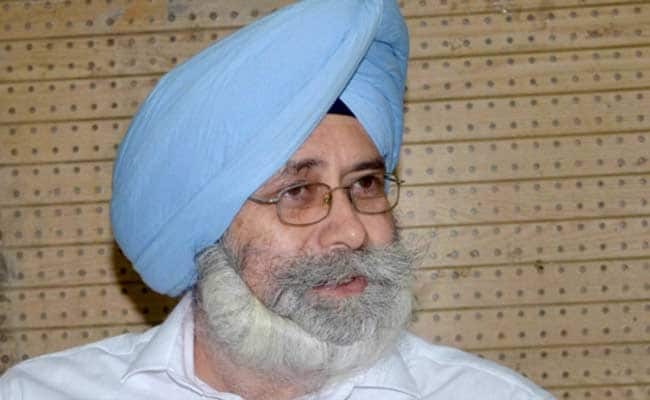 Aam Aadmi Party (AAP) lawmaker HS Phoolka, who had stepped down from the Punjab assembly as MLA (Member of Legislative Assembly) in October, met the state assembly speaker on Tuesday and urged him to accept his resignation. Mr Phoolka said he submitted a letter to Rana KP Singh, informing Mr Singh that he would not rethink his resignation. He also said Mr Singh assured him that his decision would be considered. It was earlier believed that the lawmaker from the Dakha constituency had not submitted the resignation in a proper format. The AAP leader had stepped down to press for immediate action against those accused in the sacrilege cases that rocked the state in 2015. Mr Phoolka claimed that the Congress government had not taken the desired action against those named in the findings of the Justice Ranjit Singh Commission's report on sacrilege incidents. In his letter to the speaker, Mr Phoolka wrote, "I have sent my resignation from the post of MLA vide letter dated 12.10.2018, but I have not received any communication from you regarding the same." "Today I am appearing in person to communicate that I have resigned as a Member of Legislative Assembly and request you to kindly accept my resignation. After accepting my resignation, kindly inform the House during ensuing Session which is commencing from December 13," he added. If his resignation is accepted, the Aam Aadmi Party's strength in the state assembly will drop to 19 MLAs, eight of whom have formed a rebel group led by Sukhpal Singh Khaira.